Let's start at the beginning want? 0.1 What is the crowdfunding? 2 How does the harvest gifts and presale, donation based crowdfunding? 2.3.1 What are the amounts I can give through a platform of participatory financing? 2.3.2 Are donations tax deductible? 2.3.3 Weather risk for prices of raw materials like wheat, risk countries, risk from home if you buy in stone etc. 2.3.4 The rule of the "all or nothing"? 2.3.5 And where the goal is not reached? 3.1.1 Why lend with interest? 3.1.2 Fixed rate or reverse auction? 3.2.2.5 •If the website only offers financing in the form of donations, the platform is the obligation to register with the ORIAS apas. 3.4.1 Who can fund a project via an intermediary in participatory financing (IFP) by a loan? 3.4.2 What should I check before any approach? 3.4.3 What information should I have? 3.4.4 What are the amounts I can pay through a platform of participatory financing? 3.4.5 I want to finance a project by a loan, can I be sure of repayment of capital and interest? 3.4.6 I have a loan in the form of participatory financing, then I retract me? Can I ask a prepayment? 3.4.7 Also the additional penalties, article L. 572 – 5 of the monetary and financial code provides that is punishable by three years imprisonment and 375 000 fine, providing payment as usual occupation services without having been authorized. 3.4.8 What information * 36 that the PFA shall deliver me * 37? 3.5.2 -the exception in favour of non-profit organizations who, as part of their mission and for reasons of social order, on their own resources, provide loans at preferential terms to some of their nationals (article L. 511 – 6: 1). 4.1.1 Can how much I invest? 4.1.2 I want to finance a project by underwriting of securities, what information must the platform provide me? 4.1.3 I want to finance a project by purchasing financial securities, what are the risks? 7.2.1 What are the authorized statute? 7.2.2 Qu'Appelle – your an internet site of progressive access? 7.2.3 Why opt for the status of PAC or PSI? 7.2.4 What does the status of PAC? 7.2.5 What are the conditions for access to the status of PAC? 7.2.7 What are the types of platform that can be labeled? 7.2.8 Must what information the platform provide the investor? 7.2.9 What are the rules on advertising and canvassing? 7.2.10 Is direct contact at the initiative of a potential investor allowed? 7.2.11 In what conditions is the securities offered through a platform exempt from prospectus? 7.2.12 What are the conditions so a platform could offer the titles of an SAS? 7.2.13 Conditions under which the subscription of securities through a holding company does not fall within the scope of the AIFM directive? 7.2.14 Can a platform provide offers of securities registered abroad? The crowdfunding is the financing by the crowd. That agreement – is funded by the crowd? Ben the crowd is you, it's me, it's Mr. and Mrs. everybody. Crowdfunding is especially to develop companies to find funding while the banks refused the request. Indeed companies, too small, do not fit into the criteria of banks. Harvesting of donations without compensation. Some distinguished or collect donations with a contribution that can give rise to various counterparties (presale). Some distinguish several subcategories or several categories, the number can vary. The crowdfunding by presale is the most common model. It allows the contractor to test a product or an innovative project by capitalizing on a customer base already acquired. The Contractor undertakes to submit to each investor a return proportionate to the amount invested. How does the harvest gifts and presale, donation based crowdfunding? The gift can give the right to a counterparty based projects: gifts, goodies, products offered by the company. This contribution is used to thank the contributor and is generally worth less than the value of the gift. C´EST the typical form of those selling a project for the concept. Some Internet users after will be identified and accepted the risks associated with investments unlisted may wish to contact the platform. C´EST also a good way to make free advertising for these new businesses. This form of financing is the oldest. She appealed to the generosity of Internet users, for sponsorship or charitable projects. Purely symbolic donation where the contributor is waiting no consideration in return. Often to fund charities, individuals who have had diseases or serious injury. There may be tax benefits especially in the charity. What are the amounts I can give through a platform of participatory financing? For the financing of a project in the form of a donation, there is no amount maximum. Attention: IFP status does not allow the platform to receive the fonds38. Only justifying IFP of approval at least of payment institution issued by Capra or registered as an agent of payment institution can receive direct funding under participatory financing transactions. There's no tax regime of participatory financing. It should be closer to the tax administration in order to know the rules for donations. Weather risk for prices of raw materials like wheat, risk countries, risk from home if you buy in stone etc. In France, investment in the form of don is legally the more flexible, as well for platforms of crowdfunding for donors or the promoters, fortunately because we were very late compared to other countries. The rule of the "all or nothing"? And where the goal is not reached? Crowdfunding: Know everything, the ultimate guide. No action is required on your side. A large platform, she is very known. Money lending is booming thanks to the development of the Internet and the emergence of participatory financing platforms. 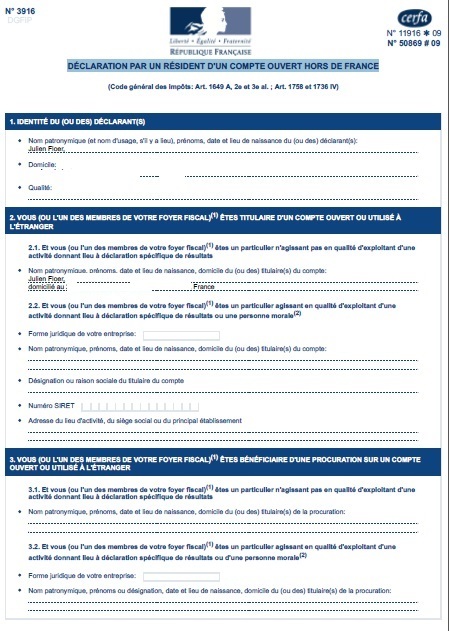 C´EST a local d´investissement form. Indeed you contribute to helping companies that you like about you. The crowdlending, or crowdfunding lending, helps project carriers, who are struggling to obtain financing, borrowing money from individuals. An opportunity that benefits from the financial and economic crisis showing as an alternative to bank credit often considered cautious and slow. Often the loan being purely made by investors who are disappointed with the poor performance offered by banks come to take profits in the crowdfunding. Indeed yields are interesting but it y of counterparties. For example the consideration of liquidity is very important in the crowdfunding. Note qu´il should not confuse the participatory financing a loan and the loan which is public assistance in the form of loan. Indeed, before October 1, 2014, paying loans could not be offered by credit institutions authorized by the Bank of France. interest-free loans: within the limit of €4,000 per lender and per project. The promoter, meanwhile, will not be able to borrow more than €1,000,000 per project. Obtaining the status of is especially subject to the establishment of a minimum of €50 000 capital if it does not fund customer-owned and €125 000 minimum if it holds. There is a risk that may take place in the current activity of the Bank as a computer problem, a trading error, or a dispute. You will discover the company, project it wishes to fund and how she thinks refund you your money. Unilend, in partnership with Altares, provides key financial accounts of the last three years. You see all offers made by other lenders with the proposed amount and the desired interest rate. This also helps you to locate your loan offers. For each company that you want to lend your money, choose the amount you want to pay and the interest rate you want to receive. Fixed rate or reverse auction? Business lending platforms are all a different operation, but to determine the rate at which you will earn money there are two majority schools. Some fix the rate arbitrarily, in which case you have one rate fixed and imposed, the other allowing you to choose the rate of the loan through reverse auctions. In this case, only the rate low and allow to fully fund the credit are selected, the others being released. By choosing you even your rate you can optimize performance, in condition of course that there is more or less balance between the number of enterprises and the number of lenders. If for example you can give 1 to 10%, for example, you may decide only to loan at a rate of 9.9%. Please note that the rates announced by the platforms are the average rates and they are often quite far from the maximum rate that can be achieved. For example, my last doctor Salahshour loan in 2015, I got 9.50% while the average rate displayed is 8.77%. I've already seen more significant gaps e.g. LB Agri or the gap between the price that I got (which was not the maximum rate) and the average rate stands at 1.06%. On average the difference I get compared to the average rate is 0.50 to 0.60%, nothing much extraordinary in these circumstances it is better invest in variable rates and bid at the last minute. Furthermore the auction system brings a small side sympathetic to the fact to invest his money to place it at the best rate, simply increase regularly if its previous tender is not accepted by the borrower. You will see that in the approximately 60 last minutes, many offers are made and the rate will decrease sharply. The counterpart of this system is the need to have time to bid and then to raise and be especially present in the last 60 minutes of a project. What is hardest is to have no accepted offer at the end of the collection while the project perfectly match your investment criteria or raise too low. Profitability seems no greater according to the use of auctions or fixed rate if the market is balanced. Indeed, the average rate on November 2015 shows for example the profitability average of 8.20% for finsquare or Unilend and one can less for lendix. Note that in the images below, projects are not necessarily comparable in terms of risk, so in terms of rates. However, if there is imbalance in favour of the investors (it means fewer investors than companies), the rates will be very high which is very advantageous for lenders. But the opposite effect also exists, this is what happened on Finsquare. Since say February 2016, an influx of investors in fact lower rates in spectacular ways, from 7-8% to 3% or 4%. Thus if there is imbalance in favor of borrowers, rates are abnormally low. If you feel like me that these rates are far too weak to invest, I advise you to change platforms and to leave from platforms at fixed rates as Lendix. where financing is particularly fast, sometimes just a few hours, but the rate was then well best. The principle of first come, first served as a concert of Johnny with tickets ranked first half price for the first 200. For the calculation of repayments, in fact this is not very important, there are many platforms with a simulation of repayments, the most important being mainly to have a good profitability, which is difficult to calculate, but below 5%, I advise to invest in crowdfunding, even with 1% of default, it is no longer profitable. and if the platform is especially lax, you can even lose money. Several platforms in the world have changed their model, from the auction at the fixed rate system, and then returning to the auctions. Furthermore the Finsquare platform has introduced this year 2015 the fixed rate in addition to its auction system… can we conclude that French platforms will soon abandon the auction? I don't think because if you look at currently 2016 platform is almost more than fixed rates, the average rate being rather well below, finsquare can thus maximize its margin either propose rates lower to borrowers at the expense of investors. The goal of the auctions is the basis is to lower the rate bordering on the 10%. This rate are more than rates of appeal as the prices displayed on the pubs in supermarkets. Indeed the high rates have attracted more d´investisseurs and therefore have lowered rates. While on the platforms at fixed rates, they have had more trouble to complete some projects quickly. There will be more and more lenders, in return there will be more and more borrowers and it is to be hoped platforms, a balance, lenders did not want to go down below a certain rate. But as there are many new investors no or few qualifications, it may be possible that rates remain abnormally low. And to compensate, it will migrate on younger platforms, therefore more risky for a nice risk premium. Management is indeed simpler for the platform, as on a variable rate is platform racing business, while on a fixed even if it y more work to determine the correct rate (it is very difficult, must be a crystal ball), it is totally useless to hunt business. For my part the fixed rate system does not amuses me. Bidding to the advantage of having often interest rates on good projects, whereas in the rate system fixed, for 9% take position on bad projects, it means risk. However, I find that Finsquare fixed rates are too low compared to the rates obtained by the auction system (recall that article date of 2015). At the time I choose to place myself on all the projects that interest me in a little higher than the fixed rate (often from 7.50 to 8.00%). This works in 90% of cases, which keeps me from having to raise, and which I find, allows me to get more acceptable rates. However, if I want the performance I n´hesite not to climb to 8.5. See for yourself the variable rate at the beginning of the platform is super interesting. I still appreciate Finsquare innovation which blend rate auction and fixed rates. Who wants to see its validated contribution chooses the fixed, others are waiting for the last moment and adapt to the evolution of the proposals. We arrive a few minutes before the deadline and is made an offer or two, it is policy to pay, but annoying, because it must be present at the right time. There are advantages and disadvantages, between fixed-rate and the auction but when there is balance both compensate themselves. Initially, the fixed rate was significantly more down but demand less work. Then it was also interesting to make fixed rate as the variable, depending on your goals. And here I would like fixed rate but there is more, because it is clearly more interesting than the auction. Personally, if the auction were to disappear, I would immediately cease lending to businesses on many platforms. At least that is what I was saying before 2016, eventually I simply passed on platforms at fixed rates. I got 9 and more on unilend and finsquare on projects on which I positioned, these projects would have been to 6/7% on fixed. On Finsquare I just at 2045 hours watching the evolution of the auction and I do my proposal between 20 h 50. I wish so strongly that this system continues but with time I find that having the choice is much better an option is always more interesting than an obligation. 50 loans, I have an average to 8.75% in 2015. This rate includes loans to 9.9% from the beginning of the platforms and the super bonus. For me the most important is to take pleasure with a big profitability, while fixed rate or auction? With time and the large number of platforms, I turn more and more on a fixed rate, which is higher by 2 to 4% since 2016 than the average rate of variable crowdfunding platforms (reverse auction). While in 2015 I did exactly the opposite. On end of 2015 on the contrary I was indifferent. It is therefore a question of balance of the market eventually. 2016 is clearly less efficient and should be preferred the fixed rate, even if sometimes you have only one or 2 hours to invest, it is better not to invest rather than having an unprofitable investment. In addition, please be aware that overall rates will decline because of the reduction in the premium of risk in 2016. Each is based on his interests and his desires. And you rather fixed or auction? It is the loss of the value of the currency over time. Your winnings are taxed as all investments not benefiting from tax loopholes: passbooks, income rental or revenue bonds. On the other hand, if you are an individual you can benefit, under certain conditions, the deductibility of any capital losses (more on tax loans on Unilend). Even if the projects presented on Unilend are carefully selected, it is likely that several companies which you lend not fully reimburse you. This is why it is important to diversify your loans from a large number of projects (learn more about how to distribute your loans). When you pay your money to a company, it shall reimburse you each month part of what it owes you but you are unable to retrieve your money fully before the end of the loan. Do lend so that's money you don't need immediately. Each freely sets interest rates. To help you, the rating of 1 to 5 stars (more on the note Unilend) translated the confidence you can have in the company to reimburse you. The interest and capital you will be then reimbursed each month for the duration of the loan (after deduction of tax and social levies mandatory). Remember: only the lowest rate loan offers will be considered. Don't be too greedy. For example, if the amount desired by the borrower is already reached, do not offer an interest rate too close of the limit: your offer could be replaced by a better proposal. Council you not hasten to take your investment decisions and never sign documents without having read carefully. * 30 s.
The operation is appropriate to your situation taking into account your goals, your experience, your operational and financial resources. The rate at which you will lend is very important, with or toll change much over the long term. C´EST the risk of loss that may result from fluctuations in the price of the financial instruments that make up a portfolio. The risk can affect the stock prices, interest rates, exchange rates, prices of raw materials, etc. * 20 the rules of use of the label establishes the conditions of use. For this banking institutions implementing procedures for verification of each operation. That is a risk which affects investments abroad (Dollar borrowing for example), and for financial products in currency foreign. An increase of the currency against its currency is a cost for the establishment, it may nevertheless cover ventures cover financial instruments. It is the risk that the credit rates change unfavorably. Thus, a floating rate borrower undergoes a rate risk when rates increase, because it must pay more. Conversely, a lender undergoes a risk when rates fall, because it loses revenues. It is the risk on the ease to buy or sell an asset. If a market is not liquid, you may not find buyer when you want or do not find vendor when you absolutely need. It is a risk related to the nature of the underlying (of goods) but also the credibility of the buyer and seller. Indeed, it is easy to buy or sell a product to a consideration for confidence, but more difficult with a very specialized product. It is the liquidity of this product. Moreover, if the buyer/seller is not credible, counterpart to potential suppliers/customers discourages them deal. By extension, it is the risk of economic activities directly or indirectly related to such a market (for example an exporter is subject to exchange rates, an automobile manufacturer at a price of steel…). If this risk is likely to extend close and close between banks (domino effect), particularly, or the drying up of interbank funding, to psychological contagion between applicants, one speaks of systemic risk, because the system as a whole s´ecroule. Linked to the evolution of the underlying stream and it can consolidate many risks. Weather risk for prices of raw materials like wheat, risk, risk of home if you buy in stone etc. The proposed projects are based on a business plan which remains subject to many vagaries. Companies that present their project on the platform have varying financial strength, technical know-how and environmental quality. These risks will be even more limited that the investment project is in an advanced stage of construction or operating, and that the technology used has already been proven. As a general rule, a bond issue carries more risk than a bank loan and less risk than a shareholder. Therefore, the risk of a bond rises through the overall financing of the project, on the distribution of funding between bank debt, the bond issue and the shareholder capital: more shareholder capital is low, more the bond issue is at risk. Example a new games based on a concept interesting for example. It's the risk of non-repayment of a debt by a borrower (this also applies to the titles of debts such as bonds sovereign or public Treasury bonds). Counterparty risk is a similar concept. Even if the platform evaluates the financial, technical and environmental risks with the greatest care and advise project promoters on the rate to offer subscribers depending on the level of risk that he is required to take in the event of subscription, you cannot rule out the possibility of losing everything or party of the invested capital. If a company in which you have invested is in liquidation, it must first pay its employees, its suppliers and the taxman. If there is money, it must repay his creditors: banks and holders of obligation, and ultimately, its shareholders. As bond (bondholders), it is possible that you are not reimbursed and that your investment is a deadweight loss. Council invest only money that you can afford to invest. Council diversify your investment portfolio: invest relatively small amounts in several projects. Lack of liquidity in general resulted in a fix to sell or trade underwritten securities. Investments via for example GreenChannel are non-recourse, in other words, there is no guarantee the recovery by the investor of its initial background, with a few exceptions closely duly mentioned in the description of each project. Council do not invest if you want to have your money quickly. But be aware that some platforms offer investments défiscalisant, he y therefore always a risk that the taxman refused after investment. There are other types of risks, but most can get closer exposed here definitions. I present to you the Farmer curve, I just think qu´elle represents very well the risks and qu´elle happens comments. Even if Unilend is aimed at healthy companies, there is always a risk of arrears. This is why it is really advisable not to put all your eggs in the same basket: divide your loans to a maximum of companies (read more on how distribute its loans). You can lend from 20 euros per company: take the opportunity to multiply your loans. Imagine that you begin with your account with 100 euros, you can already pay 20 euros to 5 companies. If you have transferred, for example 10 000 euros, you can pay 500 euros to 20 companies, or EUR 100 to 100 companies. It's even better. High yields and risk-free, it does not exist. Pay only for the money that you do not immediately need. It is very important to again pay the amounts you receive during your repayments. Your interest rate shall apply to the capital you need to receive: you are logically more paid already repaid capital since it was returned to you. Specifically, if you pay 1,000 euros to 7%, you will not receive €70 interest per year because your ready capital decreases over the repayments. For €70 interest, you therefore lend each of your repayments for new projects at the rate of 7%. Beware, some platform did not loan depreciable may ultimately, so every month you receive that interest, so you need less frequently to monitor. •If the website only offers financing in the form of donations, the platform is the obligation to register with the ORIAS apas. upcoming schedule of loans that you have made and legal documents. 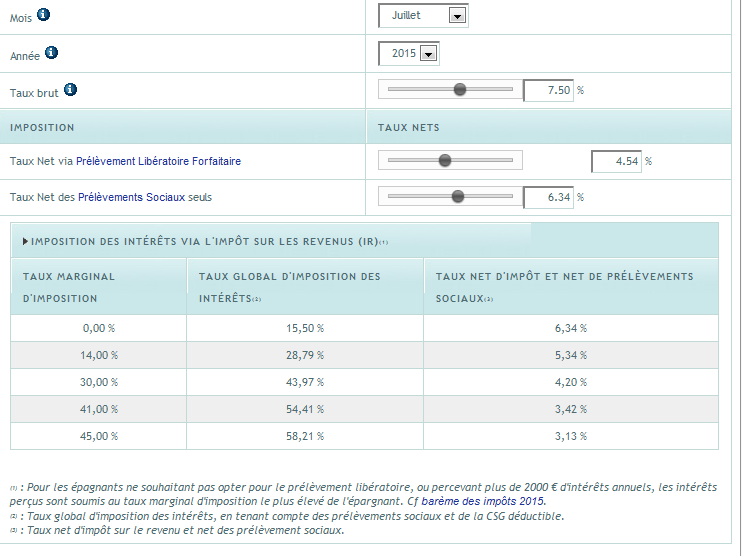 Often web sites highlight the gross return, yet c´est a very bad indicator. Why? Quite simply, because the theoretical gross yield means strictly nothing. Indeed those who have read my article performance /risques now know that performance n´a sense qu´avec the risk. 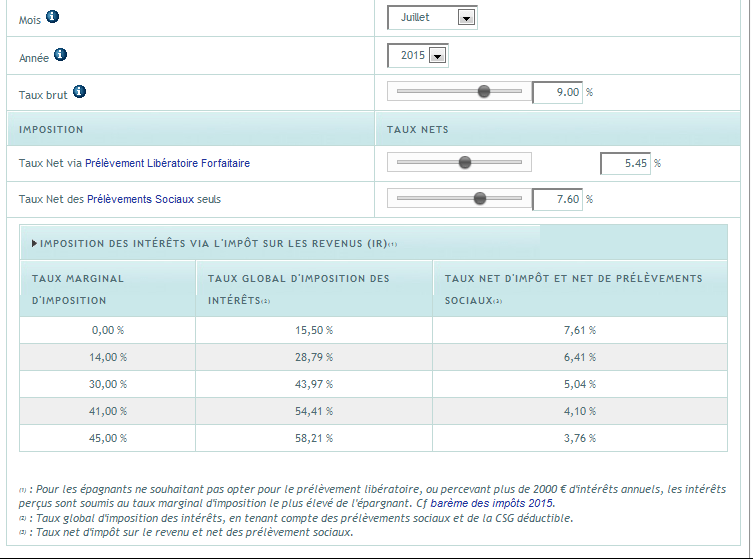 Often the (french) websites display d´ailleurs 10% d´interet what seems huge with the rate of the livret A current. However several factors intervene to reduce this result. These factors are not specified by the sites. Indeed, the 10% that many sites advertise are rarely obtained. At the beginning on the other hand, I remember having lent to 9.8% on Unilend, on the first 30 projects around, ditto on Finsquare. Suddenly there yes I earned much better than now, because some projects do go up to 6% or 30% less than in the past. However, 30% this is not negligible, but it is always profitable. However now, sometimes, on some projects it is better do not bid at all, because often the prices are too low compared to the risk involved. As the crowdfunding goes to popularise, it is safe to bet that the risk premium (for the novelty) decreases and performance decreases. Those who have chosen to invest on a crowdlending platform will normally be taxed on the affected interests. There will be two samples at 39.5 per cent in any source: the first of 15.5% for social benefits and the second by 24%, an advance on tax. Will be to declare, and even to complete depending on the tax bracket. Sampling is done on all payments charged by lenders and concerns only the share of the interest in the rebate. There is however one exception: an application of partial exemption of levy can be requested. 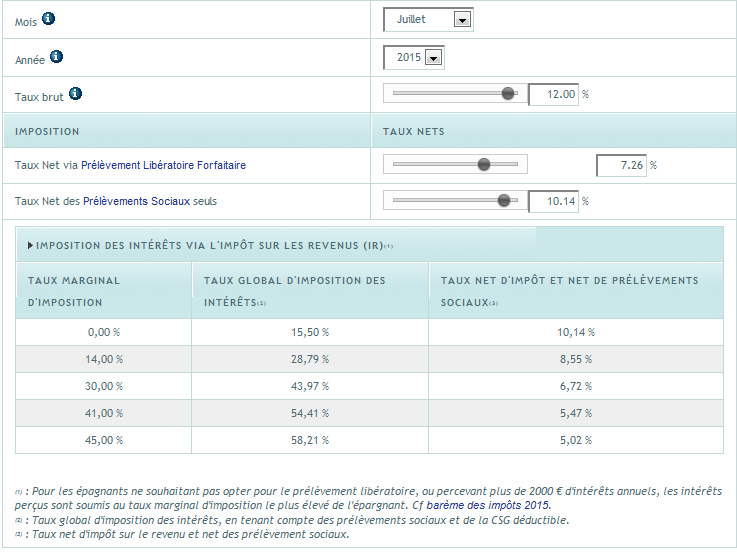 This means justify a tax reference incomes under 25,000 euros for a single person, or double that for a couple. In this case, the deposit on taxes will not be applied and only 15.5% collection, linked to social benefits, will be required. Furthermore, if the whole of investment to fixed-rate income does not exceed €2000, it is possible to opt for a flat-rate levy of 24%. A single French or who left with his family and who works all in France becomes non-resident tax and therefore taxable in his adopted country. According to the country where he has chosen to live, the expatriate will sometimes have to pay certain taxes… to 'double '! But this is increasingly rare: the France has agreements with most of the other countries to avoid precisely this double taxation. Furthermore, non-resident expats are always tax benefits: exemption of ISF for financial investments, estate taxation on contracts of life insurance or capital gains on disposals of securities, for example. By investing on a platform of participatory financing such as Finsquare, the non-resident lender will be able to pay a one-time interest income, from 15%. According to the country where he is established, there may be claim the difference or be reimbursed it as appropriate. It is clear that the crowdfunding is less interesting in the higher bands d´impots. Something else important to see the failure rate which fatally strike your performance, in fact c´est is one thing to 5% but c´est another not to receive your payments. The net present value of the two cases is exactly the same. Which means that you earn exactly the same in both situations. See clearly for good, it will therefore be necessary to have two data: theoretical performance (c´est to say the d´interet percentage that you have) and the average failure rate of the companies of the site. The funds are generally raised with a large number of Internet users in the form of relatively small contributions. Who can fund a project via an intermediary in participatory financing (IFP) by a loan? What should I check before any approach? You can check if the platform is regulated (see question 5). You should also read carefully the General conditions of use of the platform. The IFP must provide to the public, in a legible and understandable, all information to be identified and contacted. Only legal persons may be IFP34. The site must inform the public about the conditions of selection of projects and project promoters as well as information on remuneration and fees. The PFA shall publish information statistics mensuelles35 as default rates occurred, and an annual report containing, inter alia, the detail and the monitoring of its activity. -the project promoter, including his identity, his experience and his knowledge in connection with the project. -the project, including its nature, its purpose, its economic prospects, in particular business plan. -the characteristics of the related loan, in particular the applicable rate, the amount of the credit, its duration, its terms and conditions for reimbursement. The IFP provides a standard contract and a synthetic form of the loan. What are the amounts I can pay through a platform of participatory financing? As a lender, you can finance up to €1,000 per project if funding is provided in the form of a loan with interest and up to €4,000 per project for an interest-free loan. The platform must put at your disposal a tool allowing you to evaluate your financing abilities based on the declared amount of your resources, your annual charges and your available savings. Attention: IFP status does not allow the platform to receive funding. Only justifying IFP of approval at least of payment institution (EP) issued by Capra or mandated as payment service provider agent may receive direct funding under participatory financing transactions. I would like to make a loan financing, how is determined the interest rate? The interest rate is determined by the contract with the promoter. It is necessarily fixed and may not exceed the rate of wear. I want to finance a project by a loan, can I be sure of repayment of capital and interest? You should be aware of the information published by IFP relating to the project and the project promoter, in particular if the promoter provides a guarantee or insurance. These elements allow you to enjoy by yourself the risk of not be refunded in whole or in part of the capital or the interest expected. I have a loan in the form of participatory financing, then I retract me? Can I ask a prepayment? The contract signed between the lender and the promoter, drawn up in writing or durable medium, shall indicate whether or not there is a right of withdrawal for the benefit of the parties and, where appropriate, its starting point, its duration and the procedures for the exercise. The contract must also specify whether the promoter has a Faculty of early repayment and, where appropriate, the procedures for the exercise. As a lender, you have in any way the right to require early repayment of loan amounts, where the importance of evaluating your ability to lend in the form of participatory financing prior to the signing of the contract. To this end, the platform must put at your disposal a tool allowing you to evaluate your financing abilities depending on the amount of your resources, your annual charges and your available savings. Also the additional penalties, article L. 572 – 5 of the monetary and financial code provides that is punishable by three years imprisonment and 375 000 fine, providing payment as usual occupation services without having been authorized. There's no tax regime of participatory financing. It should be closer to the IRS to determine the rules applicable to the interest. I participated in the financing of a project but it did not collect all the funds, how will I get my funds? What information * 36 that the PFA shall deliver me * 37? A PAC or PSI, platform can offer on its site the titles of a foreign company, therefore it is able to meet its obligation to act in the best interests of investors, including the selection of projects on the basis of the criteria previously defined and published on the site (due diligence), quality and completeness information concerning issuers and verification of the adequacy of investment in the profile of the user. The strength of the company. 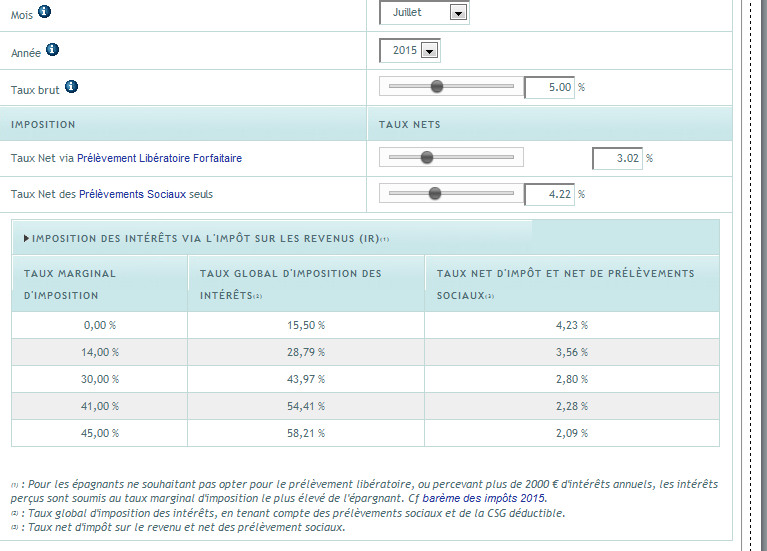 Lendix is the number one in the sector in france. Lendopolis is l ' one of the first platform, communication in gold. -€30 to €300 on loan. Pretup is a platform interviews with projects throughout France. It is still the only one with a system of #enchères reversed. The maximum and minimum bids are dictated by unilend who leaves free course to fluctuations inside these limits. -the exception in favour of non-profit organizations who, as part of their mission and for reasons of social order, on their own resources, provide loans at preferential terms to some of their nationals (article L. 511 – 6: 1). You must read carefully the General conditions of use of the platform. Equity Crowdfunding – crowdinvesting or in french "participatory financing equity" is one of the strong trends of collaborative economics. C´EST a retracted outright in the company d´une capital. We share periods fast and the l´entreprise chagrin. Legally there are often tax benefits. Real springboard for startups or young companies who have difficult access to bank credits and wish to increase their capital. These platforms allow to reach a wide audience and to advertise. In fact once the love spent money (a c´est say l´entourage has already given) promoters are in a phase or they are still too small for banks and needed an intermediary. Crowdfunding c´est therefore to fill a void. The Equity Crowdfunding, entered into force October 1, 2014, allows SMEs to raise funds, up to 1 million euros, from private investors without going through the traditional funding circuit. The crowdfunding is probably to banks as banks in lines are to traditional banks. Can how much I invest? Subscription to an offer of securities is not capped. On the other hand platform, Advisor participation investment (PAC) or provider of investment services (PSI), will ensure that your investment is in line with your level of knowledge, your experience, your financial situation and your funding goals, and that it corresponds to your risk appetite. In case of mismatch, the PAC or the PSI will have to refuse your request for subscription. I want to finance a project by underwriting of securities, what information must the platform provide me? -the faculty to receive, on request, description of the services provided to the project promoter and the costs relating thereto. All of this information must be written in understandable language and technology in order to be understood by everyone * 41. When the investment is made through a holding company, the platform ensures that the interposition of a holding company does not hinder the issuing of information on the project promoter. * 40 General information issued by the IFP on its website as well as any correspondence or advertising medium. * 41 a model of information document to communicate to investors was established by the AMF by way of instruction. I want to finance a project by purchasing financial securities, what are the risks? Savings-Bank-Insurance Info Service: www.abe-infoservice.fr or call 0811-901-801 from Monday to Friday from 8 h to 18 h.
AMF: http://www.amf-france.org or call 01 53 45 62 00 from Monday to Friday from 9 h to 17 h.
Who said also said lucrative domain call for swindlers, especially in the crowdlending. A platform by the name of Netfinancement.com has copied Lendix and Unilend projects and called individuals to lend to his ghost projects. The telephone solicitation for this kind of financial products is prohibited. In addition he promised a guaranteed 25% over 5 years return. In practice, the sale is possible if there is a purchase of securities by the founder or if the holder is by itself a transferee of its securities. Do not register on Netfinancement.com or DiamondsFix and above all not to give documents such as identity card. Answer no solicitations when it is canvassed for financial products. The IFP approval is not an ultimate guarantee. To lend to a company via the crowdfunding, preferred sites members of funding participatory France for france or companies known or who have the bottle, short some good references for you reassure. The problem of small platforms often weakly capitalized is that they can quickly close. Finsquare to reimbursed lenders on its own funds because they had too many flaws, and if it there too many flaws it y loss of confidence. Good finsquare has lost a lot of argent(ce qui a dele de aider lendix à le racheter). Case of bondora and lendopolis. Borrowers do not repay. Participatory financing is a social phenomenon that has emerged thanks to the rise of the internet and social networks. It allows to collect funds from customers in order to finance a specific project. It is especially recommended to the Subscriber to contact if it wishes more information particularly with regard to the characteristics of the proposed investment and the risks linked to it. To promote the development of participatory funding in an environment secure for contributors (donors, lenders or investors), the Government established a regulatory framework for the exercise of this new activity. A label was created to identify platforms that comply with the new rules introduced by order No. 2014-559 of 30 may 2014 and Decree No. 2014-1053 of September 16, 2014. The rules of use of the label indicates under what conditions it can be used. Participatory financing allows for promoters of finding funding, through the website of a platform of participatory financing and outside conventional channels (such as banks). •A platform for participatory financing by subscription of financial securities issued by other non-listed must be registered with the register of the ORIAS as Advisor participation investment (CIP). It can also opt for the status of prestataireen investment services (PSI) providing the service of Council and be, in this case, approved by Capra. These platforms are regulated by the only AMF for PAC's software by the AMF and Capra for the PSI. •If the website offers to fund the project in the form of a loan with or without interest, powered-form must be registered with the register of the ORIAS as an intermediary participatory enfinancement (IFP). •The ' Capra controllable at any time an intermediary in participatory financing. * 19 s. However, it may choose to ' register as an intermediary in participatory financing. In this case, it doitrespecter all rules that apply to intermediaries in participatory financing. Caution: If the website cash funds on behalf of third parties in the context of participatory financing operations, the platform must be approved at least in quality of payment (EP) by its institution or be registered as an agent for payment service provider. The powers of control of the ACPR and the AMF shall not preclude the exercise of its tasks by the DGCCRF1. 1 General Directorate of competition, consumption and repression of fraud. 2. to check if the platform is registered as a PAC or IFP, you can click. -agent payment service provider mandated by an institution of the economic area EEA other than the France: to check if the platform has this status, should consult the website of the supervisor of the Member State of the seat of the institution having appointed agent. * 2 the list of providers of payment services agents is updated once per year. These crowdfunding platforms allow linking of carriers of specific projects and donors or contributors. Contributions may be accompanied by compensation, monetary or monetary. Monetary compensation is generally conditional based on the success of the supported project (for example, for a film, on the number of entries made). Some operations of crowdfunding consist for an Internet platform to raise the funds on an ad-hoc account in his name with a content of account. In principle, they are released for the benefit of recipients only with effect from the moment all of the donations or contributions necessary to the implementation of the project have been reunited. -execution of transfer operations associated with the management of a payment account, payment service under the c 3 ° of II of the same article. The provision of services of payment as usual occupation is reserved for payment service providers authorized to intervene in France. This authorization assumes the issuance by the authority of prudential supervision of an approval of payment institution pursuant to article L. 522 – 6 or the realization of the European passport formalities provided for in articles L. 522 – 12 et seq. of the same code. Practicing of credit operations, to obtain approval of establishment of credit issued by the CPA, which requires, inter alia, an important minimum capital. The activity of encashment of funds on behalf of third parties may be entrusted, in partnership, to a provider of payment (SPP) approved; crowdfunding platform will act in the name and on behalf of the PSP as an agent of payment services, in accordance with articles L. 523 – 1 and following of the French monetary and financial code. 1 area of jurisdiction to the ACP. Article L. 521 – 3 of the monetary and financial code provides for an exemption of registration in the case of a company, which provides payment services based on payment methods that are accepted, for the acquisition of goods or services, in the premises of this company, or as part of an agreement with it, in a limited network of people accepting these means of payment or for a range limited goods or services. This exemption requires a declaration to the ACP which has a right of objection. Some crowdfunding platforms to make contributions in return for remuneration in kind materializing through the acquisition of goods or services. Condition that the consideration shall be clearly defined, sufficiently certain and that its value is in relation to the amount paid, the contributor could be regarded as having completed an acquisition of a good or a service. Subject that a crowdfunding site is specialized in sufficiently precise thematic offers, a declaration of exemption on the basis of the limited range of goods or services may be addressed to the ACP services. Organization and rules of good conduct specific to each status. Bank's operations include credit transactions and receipt of funds from the public. Crowdfunding platforms allow the relationship between a part of the natural or legal persons interested in financing projects and other project leaders. These funds may be carried out in the form of loans. Gold lending is precisely defined and framed by the monetary and financial code in article l 313 – 1: "constitutes a credit any act by which a person acting for remuneration puts or promises of placing funds at the disposal of another person and takes in the interest, a commitment by signature as endorsement, a bond or a security. Are the interests will I receive taxable? -a usual character: jurisprudence retains this character as two or more persons are financed. They indicate the desired amount, the duration of repayment, note of confidence from 1 to 5 stars in unilend or lendix rates, and time you have to offer. Since banque4 operations fall under the bancaire5 monopoly, it is prohibited to any person other than a credit institution to grant loans for consideration. Anyone who disregards this rule would incur a penalty of three years in prison and 375,000 euros in amende6. Where appropriate, a crowdfunding platform could therefore be pursued in respect of the complicity of the illegal practice of the profession of banker. 3 area of jurisdiction to the ACP. 4 s. L. 311-1 of the monetary and financial code (CMF). 5 s. L. 511-5 CMF. * 6 s. 571-3 CMF. Under the terms of article L. 312 – 2 of the monetary and financial code, "are considered as funds received from the public funds that a person collects a third party, notably in the form of deposits, with the right to dispose of it on his behalf, but support for her return". It should be noted that, inasmuch as the funds received by a platform are used precisely determined, they do not enter the definition of receipt of funds from the public and therefore within the scope of Bank's operations. On the other hand, if thus allocated funds through a platform, it must comply with the above mentioned provisions on payment services providers. Also the granting of loans for free, even when they are accompanied by benefits in kind, such as gifts of small value, referred to in I above, the requirement to possess the status of credit institution granting credit applies not to the companies satisfying certain conditions. -the exception in favour of non-profit and associations to the recognized public utility foundations fcls on own resources and borrowed resources for the creation, development and takeovers of companies including the salaried workforce does not exceed a threshold set by decree or for projects of insertion by natural persons (article L. 511 – 6, 5). It should be noted that these organizations must be approved by the ACP as they resort to borrowed resources. There are currently two authorized microcredit associations: the Association for the right to economic initiative (ADIE) and created-ground. A company without a licence as a credit institution may exercise under the regimes of intermediation and the canvassing, an activity in relation to the crowdfunding, this essential subject that credits must be granted not by itself but by the establishment of credit on behalf of which it carries on business. issued by another intermediary in banking and payment service or by the client. The IOBSP are registered in a register (article 519-3-1 of the monetary and financial code) and must have a financial guarantee if they were given funds (art. L. 519-4). The infringements of article L. 519– 1 and the first sentence of article L. 519 2 are punishable by two years in prison and 30 000 euros fine. the offences in article L. 519 – 4, to a year in prison and a 15,000 euro fine. For example, an Internet of crowdfunding platform has IOBSP as if it directs customers to a Bank, with which they carry out deposits intended to be used in granting credits. The choice of borrowers remains under the exclusive jurisdiction of the Bank, even if it takes into account the wishes of applicants in this regard. The platform has therefore no role in reception or management of the deposits, or no power of decision on granting of credit. Article l.341 – 1 of the monetary and financial code defines the Bank solicitation, essentially consist of a contact plug unsolicited with a person or entity to obtain its share, in particular, conducting a banking activity or regulated financial. Only may use the banking canvassing of the habilitees7 people, including credit institutions or the IOBSP8. The exercise of an activity of soliciting in violation of articles L. 341 – 3 and L. 341 – 4 of the monetary and financial code is sanctioned with penalties that apply to the scam, or five years ' imprisonment and a fine of € 375 000. 7 s. Why lend with capturing ;-)? 8 s. L. 341-4 of the CMF. corresponding to the status to adopt. Should be take into account the requirements in terms of minimum capital, organization and rules of good conduct rules specific to each status. When, like me, you need to do your taxes you must declare a no. 3916 (DECLARATION by a RESIDENT of an account outside FRANCE) you may have been surprised and panicked. This is what has happened to many customers of Lendix. Indeed lendix works well in France, but its provider which holds it money (lendix n has not, by the AMF the right to hold money) is Belgian. At the time, according to the law, you must declare any account abroad, even if it serves as a transition (account paypal etc). Finally say that to be exact, we do not know if he really need to declare this account as foreign account for 10 or €20. But in doubt we interpret the code of taxes in a cautious manner and in this case, Lendix gives you a statement to give your paper tax or copy if your taxes are in digital version. However be careful not to confuse income abroad and account abroad. 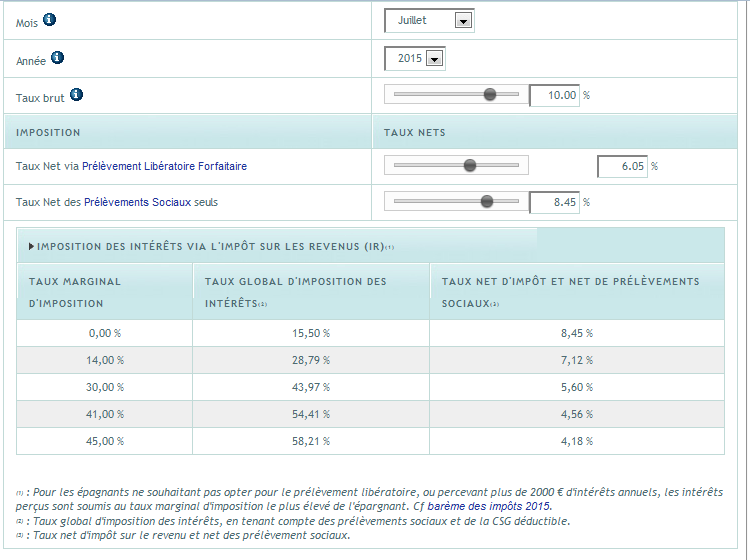 In Lendix your income are french and that is why they give you an IFU (single tax form, not as in scams). However if like me you had money at bondora, the you must do a revenue abroad plug + account abroad (2 times if one is careful, 1 if it is less, because bondora yet abroad and its bank in another country, the Norway). It's twino mintos, lendopolis… Everything is the same. What are the authorized statute? A platform of participatory financing by subscription of financial securities issued by a non-listed company must be registered with the register of the ORIAS as participatory investment (CIP) Adviser. It can also opt for the status of claimant investment services (PSI) providing the service of Council and be, in this case, approved by Capra. 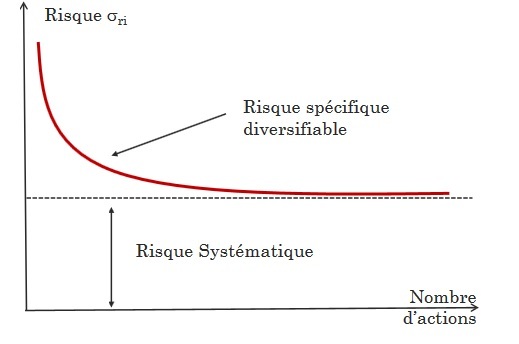 These platforms provide before a service to investors and must act in all circumstances to the best of their interests, the selection of tenders until the realization of the investment (realization of due diligences, warning about the risk and capital adequacy test, providing a level of information required for decision-making…). Qu'Appelle – your an internet site of progressive access? A website of progressive access includes several steps before allowing the potential investor to subscribe to the offer. If the potential investor responds not to any of the questions, the platform will deny access to detailed offers. The second step, performed before the subscription is for the platform to the potential investor a fitness test to ensure that supply matches experience, knowledge as well as the heritage of the contributor and family situation * 12. Why opt for the status of PAC or PSI? The choice of a status returned to officials of the platform of participatory financing according to their own constraints and their development objectives and be assessed having regard to the specificities of the PAC or PSI status. 12 cf. AMF position on the collection of information relating to the knowledge of the client (DOC-2013-02). The status of PAC is accessible without capital constraints but limit the type of operations proposed titles simples13 and does not allow the platform to offer its services in the European economic area (EEA). Furthermore, the PAC may hold funds nor tracks customer. The status of PSI providing investment advice service platform requires a minimum of €50 000 capital if it receives funds nor tracks customer and €125 000 in otherwise. In the second case, the PSI are required in respect of prudential rules. The status of PSI allows, in addition to the holding of funds or securities of clients, to propose all categories of securities and to obtain a passport to provide its services to investment within the EEA. The PAC and the PSI are subject to defined organisation and good conduct rules in Book III of the general regulations of the AMF. Conditions which prevent the activity of participatory financing platforms may be recharacterized in non-guaranteed investment are the same regardless of the choisi14 status. What does the status of PAC? The status of PAC is a status dedicated to participatory financing in the form of securities. The PAC is allowed to provide investors with entrepreneurial projects investment advice. It can also provide companies with a service of High Council of assessment as well as support for subscription newsletters. It can be combined with the new status of intermediary in participatory financing (IFP) 15 on the condition of not providing payment service. Indeed, the status of CIP does not receive funds from the public. It is only allowed to receive the amount corresponding to the remuneration of its activity. What are the conditions for access to the status of PAC? The PAC is a legal person which must – be established in France. The persons who have authority to manage or administer the CIP must meet conditions of age, of good repute and competency. The PAC must also liability insurance civil professionnelle16 and join a professional association approved by the AMF (as soon as the AMF will be approved one or more associations). Insurance cover against the financial consequences of his professional civil liability. The minimum levels of guarantee insurance contract are fixed by order. The PAC is registered with the ORIAS which verifies the requirements relating to good repute, at age and the existence of insurance and the effectiveness of membership in an association. Pending the approval of an association, the AMF17 services examine the professional qualifications of each candidate PAC and their ability to comply with the rules of organization and good conduct. At the end of this review, the AMF instructs the ORIAS if it considers that the requirements are met. * 13 it's common shares and fixed-rate bonds. * 14 see Position commune AMF ACPR specifying the definition of the placement not guaranteed. * 15 s. 547-1 of the monetary and financial code. * 16 the obligation of insurance applies only as of July 1, 2016. Until that date, the PAC indicated their clients whether the financial consequences of their professional liability are covered by an insurance contract. * 17 examination by the AMF will be the basis of a dossier conforming to the statement of the MFA. Participatory financing platform that chooses PSI status must submit a file for approval to the authority of prudential and resolution (ACPR) to provide the service of investment advice (or other additional services if necessary). The list of the PSI is broadcast on the register of financial officers (REGAFI) held by Capra. What are the types of platform that can be labeled? Only platforms having the status of investment (PSI) 18 authorized service provider to provide the service of investment advice and having a website of progressive access as well as having the status of Advisor equity investments (CIP) 19 may be labellisees20. Attention: a site of ads is a platform that allows only in relation to investors with carriers of projects through the publication of an advertisement on its site. The platform is not involved in the selection of projects and receives no remuneration other than that due to the title of the publication of the announcement. Not covered by the new regulatory system governing the crowdfunding, the site of ads cannot receive the label. Must what information the platform provide the investor? • freedom to receive, on request, the description of the services provided to the transmitter and the costs relating thereto. All these information must be written in understandable language and technology in order to be comprehensible by tous22. * 18 s. 531-1 of the monetary and financial code. L. 341-3 CMF. 547-1 of the monetary and financial code. Finally, remember that Unilend is not like your Livret A. It may earn you much more but the money that you lend becomes unavailable time that companies reimburse you. * 21 art. 314 – 106 and 325-38 of the general regulation of the AMF. * 22 a model of information document to communicate to investors was established by the AMF by way of instruction. When the investment is made through a holding company, the platform ensures that the Subscriber receives the information about the project it supports. In any event the interposition of a holding company must not interfere with the issuing of the information listed above. What are the rules on advertising and canvassing? Constitutes an act of canvassing any taken contact unsolicited, by any means whatsoever (including, by postal or electronic mail and phone call), with a natural person or a legal person, for its part, an agreement on the completion of a transaction in a financial instrument. It is recalled that the solicitation is permitted for financial securities having been the subject of a prospectus approved by the AMF. The platform of participatory financing can promote services that it proposes making advertising so-called "institutional" since it does not concern a particular transaction. The platform is not authorized to communicate by way of advertising specifically on the characteristics of investment opportunities it offers when it has not resulted in a prospectus. On the other hand, it can communicate in General on its activities. Is direct contact at the initiative of a potential investor allowed? The practical arrangements for the repayment of funding failed are described in the General conditions of use of the platform. Thus, once the platform has ensured that the potential investor that the contacts became aware of the risks that it incurs (total or partial loss of the invested capital and liquidity of their investment) and that it expressly accepted, a direct contact (such as a telephone contact) is possible between potential investors and the platform. This contact does not exempt the platform to check the suitability of the proposed investment profile of his client prior to the subscription (see question above). In what conditions is the securities offered through a platform exempt from prospectus? When the platform, having the status of PAC or PSI, has a website of progressive access (see question 14), a new exemption is introduced. Within this framework, the offering of financial securities will be exempt from the publication of prospectus within the limit of 1 million € (regardless of the amount of the share capital of the issuer) calculated over a period of 12 mois23. Other not constitute situations of an offer of securities to the public under article L. 411 – 2 of the monetary and financial code may be applicable subject to compliance by the issuer of the detailed infra-specific conditions. 23 s. L. 411-2, (I) bis and art. D. 411-2 of the monetary and financial code – art. 211 2, II of the general regulation of the AMF. What are the conditions so a platform could offer the titles of an SAS? o assemblies General (distribution of competence between ordinary and extraordinary general meetings rules of quorum and majority, terms of convening of partners, in providing prior information) right. -Inform investors on the financial rights granted to the partners as well as on the possible existence of temporary withdrawal or exclusion clauses clauses. When the company making the offer is designed to hold and manage holdings in another company (otherwise referred to as the "company holding27"), the statutory modifications are also required for the SAS in which it has holdings * 28. Conditions under which the subscription of securities through a holding company does not fall within the scope of the AIFM directive? In a securities offering, platforms can create a holding company for Group shareholders in a single company target in order to simplify relations with the promoter and later, with the eventual buyer. If the holding company does not meet the definition of FIA laid down in article L. 214 – 24 of the monetary and financial code, specified by the Position AMF DOC-2013 – "Essentials" contained in the directive on alternative investment fund managers, so it does not fall within the scope of the AIFM directive. A case-by-case analysis will be to carry out in order to assess whether or not the holding company falls within the scope of the AIFM directive, especially in the light of its policy of investment and its purpose. If the holding company fall within the scope of the AIFM directive, then, it must be managed by a portfolio management firm or be approved itself as a self-directed vehicle. In both cases, it must comply with the obligations applicable to managers 'Other FIA'. 24 s. 227 2 of the commercial code. It is recalled that an SAS leaders who do an offer to the public are likely to be punished criminally (article L. 244 – 3 of the code of commerce fixed the amount of the fine to € 18,000). 25. the private placement notes of 2 ° of II of article L. 411 – 2 of the monetary and financial code. 26 s. L. 227-2-1, I and R. 227 – 2 of the commercial code. 27. this term does not include within the meaning of article l 532 – 9, V, 7 ° of the monetary and financial code. Can a platform provide offers of securities registered abroad? When you want to finance a project presented on a platform of participatory financing, you act as borrower and you form a contract with each lender. However, offer of securities of companies registered abroad presents a risk of failure to comply with the French legislation. Thus, it will be extremely difficult for the platform to demonstrate because of the variety of social forms that may exist, that it respects the legislative and regulatory obligations to act in the best interests of investors including the level of policyholder protection. It is recalled that the PAC is a national status, it cannot offer services in one State of the European Union other than the France. What are the tax benefits related to participatory investment? There's no tax regime of participatory financing by warrants. It should be closer to the IRS to determine the rules applicable to investments in unlisted securities. Under what conditions can a foreign platform operate in France? -either with the benefit of the European passport, if it is approved as a PSI in his State of origin party to the EEA. -either by creating a subsidiary PSI or PAC. What kind of financing can I appeal? What can I check before presenting my project on a platform? What is the framework applicable to a loan made through a participatory financing platform, * 30? Are you aware that you will have problems to resell your titles? YES NO R. R. 548 548-5 – 8 of the monetary and financial code. This contract concluded remotely, which is not a consumer credit, is governed by specific provisions, and in particular, with regard to its form and its content, by article R. 548 – 8 of the monetary and financial code. Participatory financing (IFP) intermediary must make available a loan type contract. The interest rate is determined by the contract concluded with each lender. It is fixed over the life of the loan and may not exceed the rate of wear. Can how much I borrow in the participatory funding 31? The maximum amount that can be borrowed by a promoter is fixed at 1 M € per project. The cumulation of the outstanding amount of loans taken out in the form of participatory financing may not exceed 1 M € for a single project. I want to qualify for participatory financing, can I present my project on 2 or more platforms? Yes, provided that the amounts borrowed via unsolicited platforms all exceed not, for this project, 1 M €. For the sake of transparency, the project promoter tells platform or funding in repayment having been presented by other platforms. I benefited from funding by loans via an intermediary in participatory financing but I can no longer repay. What are the consequences? Each promoter is directly and personally committed to all lenders and therefore must first ensure the adequacy of the operation with its own repayment capabilities. The loan agreement must also present a clear and easily accessible manner the responsibilities and the respective roles of the lender, the carrier project, IFP and potential partners in the event of failure of the project promoter. I benefited from a participatory financing and I already refunded a portion of my loan, can I apply for other funding? Yes, however, if the new funding for the initial project, the stock shouldn't exceed 1 M €. What are the information that the PFA shall deliver me? One other important thing to see is the failure rate that deadly strike your performance, indeed it is one thing to pay to 5% but it's another not to receive your refund. Can how much I collect for my project? In a participatory financing in the form of donations, the amount of funding is not capped. Am I required to provide a counterpart to the donor? No, there is no obligation to provide consideration. Can what amount I collect as part of a securities offer? In a participatory financing in the form of securities, the amount of funding requested is not capped. On the other hand, to take advantage of the new exemption to the publication of a prospectus, offers it must be made through the website of progressive access consultant participation investment (PAC) or a provider of services of investment (PSI) – (see question 14) and may not exceed 1 M €. What are my obligations in terms of information? -the conditions for the transfer of the securities offered. Participatory financing France (FPF) is an association law 1901 having for objective collective representation, promotion and defence of the rights and interests of stakeholders in participatory finance (also called crowdfunding) – among the regulatory authorities – to advance funding of projects (entrepreneurial, cultural, social, humanitarian, etc.) by the citizens, in particular in France. It is therefore a lobby. Lobby work with the regulators, ministries and other actors for the implementation of a legislative framework favourable to the development of the sector while securing the contributors. Promotion and democratization of crowdfunding as tool of alternative and complementary funding for project promoters. Work on the ethics and practices of the actors to preserve the confidence of the public in crowdfunding and prevent any derivatives. A best practices Guide is under examination in 2016. Is a property of electronic money approved in France by the PTA (Bank of France) from 2012. Offering features specific to their professions: advanced tools of collecting money, generations of tax receipts, receipts real-time reporting, etc. HiPay to two European licenses to establish payment and electronic money institution allowing the company to be able to accompany the merchants. The company is present in 6 countries in Europe, in the Brazil and counts more than 125 employees. -HiPay Group is listed on compartment C of Euronext Paris since June 29, 2015 (ISIN FR0012821916 – mnemonic HIPAY).